Bitter Gaurd has Vitamin C 33 mg. Dietary Fiber is 2 g. Iron is 0.38 mg. Sodium is 6 mg. Fat quantity is 0.18 g. Cultivation type is Organic. Carbohydrates is 4.32 g. Potassium is 319 mg. Calcium is 9 mg.Packaging Size: 1 kg. Packaging Bag: Plastic Bag. Bitter Gourd : Botanical Name is: Memordica charantia L. and local name is karela Hindi; Karli Gujrati & Marathi, Paval, kakara- Telugu. Bitter gourd is one of the most popular vegetable in India. The bitter gourd has good medicinal value as well Harvesting and Yield of Bitter Gourd :- Harvesting is done when the fruits are still young and tender at every alternate day. Picking should be done carefully so that the vine may not be damaged. The fruits should not be allowed to mature on the vines. The harvested fruits may be stored for 3 to 4 days in-cool condition. The yield is 60 to 100 quintal/ha. Short on time? Let bitter-gourd sellers contact you. The Green Bitter Gourd is demanded all over the world for unique flavour and the richness of nutrients. It has many therapeutic usages and is widely used in alternative medicines to treat many diseases. The freshness of the Fresh Bitter Gourd is ensured by the effective packaging done by us, which maintains the high quality of the vegetables in transit. 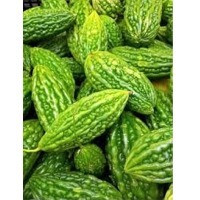 We emphasize on delivering quality Green Bitter Gourd procured directly from the farms. We, being major Bitter Gourd Exporters ensure that the products are grown and cultivated in the most favorable conditions; utmost care is taken during the packing and transit stage to retain its medicinal value and quality. Specification : Parameter : Value Color : Green Size : Small, Medium,big Packing : 5kg Carton Box, As Per Customer Requirements Shipment : By Air / Sea Our quality analysts conduct stringent quality control measures to ensure durability of the products. Quality of the product is checked on various parameters at every stage of production. Our main product range comprises of Onions, Indian vegetables, pomegranates, tomatoes, Grapes etc. Bitter Gourd is a rich source of vitamins A, B1, B2 and C. Although it is a seasonal vegetable and bitter in taste, it is extremely good for health as it contains minerals like calcium, phosphorus, iron, copper and potassium. It is extremely effective in curing pimples and other diseases arising because of blood impurities. 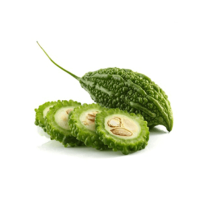 It strengthens the functioning of liver and spleen and helps to control diabetes. Other diseases that can be cured or controlled through the consumption of bitter gourd are arthritis, leucorrhoea, jaundice, stomach worms, piles, constipation and others. Bitter gourd acts as a purgative and appetizer. It helps in the digestive process. Its anti-inflammatory property makes it useful to hasten up the healing of wounds and injuries. Packaging : Plastic Bag or Polythene Speciality : No Preservatives Packaging Size : 2.5Kg, 10Kg, 25Kg We have carved a niche amongst the most dominant names in this domain, engaged in offering Fresh Bitter Gourd. Quality	: A Grade Packing	: Plastic Bag, Polythene or Carton Box Packing Size	: 5 kg, 10 Kg, 15Kg, 25Kg Health Benefits: Bitter gourd juice contains a train of important nutrients ranging from iron, magnesium and vitamin to potassium and vitamin C. An excellent source of dietary fiber, it also contains twice the calcium of spinach, beta-carotene of broccoli, and the potassium of a banana. South indian snacks, fried beetroot, fried bitter gourd, hot & spicy robust chips, sweet plantain chips in coconut oil, garlic pakkavda, onion pakkavada, murukku, varities of namkeen. 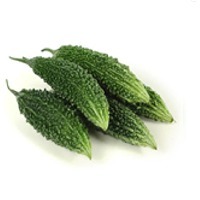 Bitter Gourd Reputed as one of the leading Fresh Bitter Gourd Suppliers and Exporters from Andhra Pradesh, we bring forth a variety of Fresh Bitter Gourds that includes an oblong shaped 20 cm long one and other which is pale green in color. For sourcing them, we choose farmers who are hygienically growing them and harvesting them under the most suitable environment and without using any harmful pesticides or fertilizers. It is ensured that the offered Fresh Bitter Gourd is free from any damage whether external or internal. 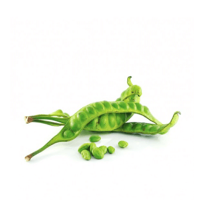 Catering to a global demand of this vegetable, we have become a well-known name amid the Organic Bitter Gourd Exporters. We make them available at market leading prices. Also, we can process bulk orders on request. Before dispatching the orders, we pack the vegetable in food-grade containers to preserve its quality. Customers can expect on-time deliveries of Fresh Bitter Gourds regardless of where they are located. Minimum Order Quantity: 200 Kilogram.